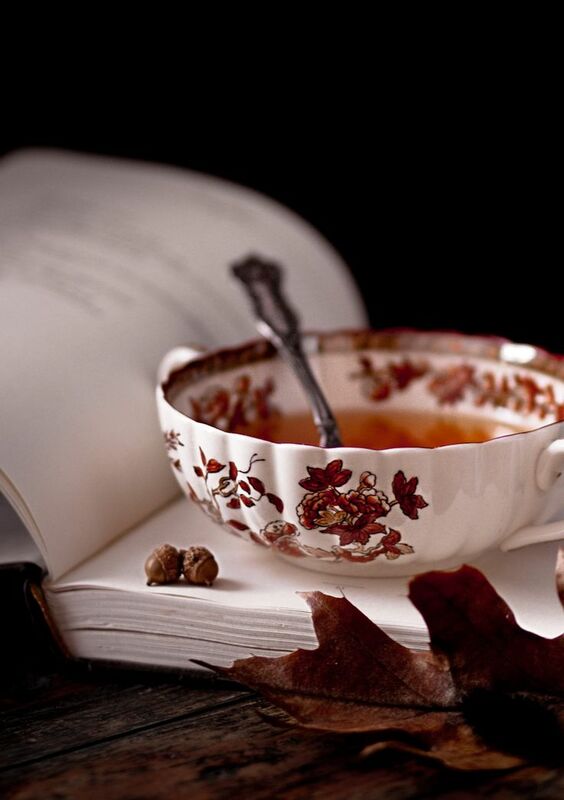 Tea and books, what a lovely combination! 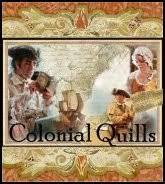 Today we are pleased to have you join us for another Colonial Quills Blog New Release Tea Party! My, you all do look so festive on this crisp fall day! Many of you have strolled over, dressed in your virtual tea party finery, from our Facebook event page where we began our celebration. If you care to, you may go there and post photos and pins of your gowns. Its just a quick carriage ride over, and the driver will wait so you can promptly return for the main festivities. Our featured authors will be visiting there and offering some giveaways, as they will right here in our tea parlor. Please make yourself comfortable and our hostesses will be happy to serve you some our our delicious refreshments. Now let's begin by having our authors tell you about their new releases, shall we? Please join our conversation to be eligible for our giveaways, and check back for replies. A letter for Sonja’s deceased friend arrives at the post office in Michigan, and with it a proposal. With her father threatening to kick her out of his home, Sonja impulsively responds, offering to travel west to be a substitute bride. At the same time, Louis’s railroad promotion sends him back to Michigan, the one place on earth he’d hoped to never return—where Christmas past was full of pain. A mysterious stranger leaves him marked copies of “A Christmas Carol” as he considers romancing Sonja in Christmas present. Will Louis discern the best choices for Christmas future? Does it include the Poor House, again? Even so—will God bring healing and love to him this year? 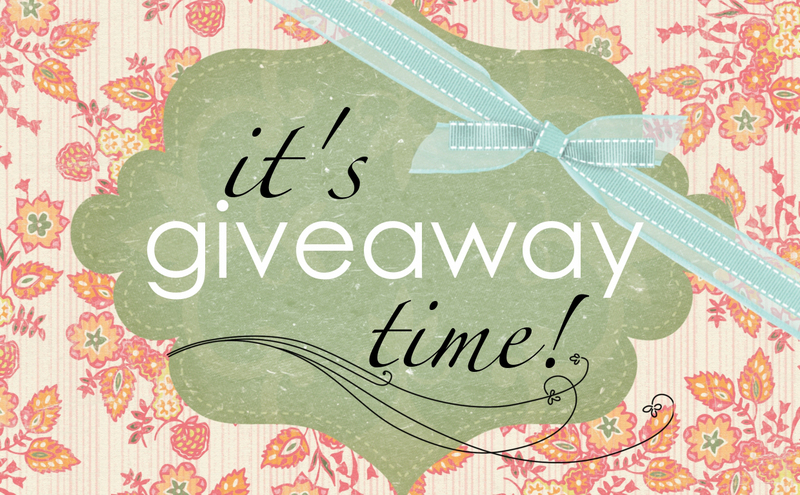 Giveaway: An e-book copy to THREE of our visitors! Carving a Future, Connecticut, 1753 ~ Ship figurehead carver Nathaniel Ingersoll has apprenticed for many years under his Uncle Phineas and hopes to become a master ship carver in his own right. Constance Starling was spirited away from England to the Connecticut coast as an indentured servant, arriving too ill for anyone to accept her. When Nathaniel takes pity on her, he purchases her contract. Has he jeopardized the future he has worked so hard to achieve for the welfare of a weakly servant? View the Pinterest Storyboard for Carving a Future. Also available in paperback and ebook. Boston, 1769 ~ Honour Metcalf’s quilting needlework is admired by a wealthy customer of the Boston Mantua-maker for whom she works. In need of increasing her earnings, she agrees to create an elaborate white work bridal quilt for the dowager’s niece. A beautiful design emerges as she carefully stitches the intricate patterns and she begins to dream of fashioning a wedding quilt of her own. When Honour is falsely accused of thievery and finds herself in a perilous position, merchant tailor Joshua Sutton comes to her aid. As he risks his relationships, reputation, and livelihood to prove her innocence, the two discover a grander plan. 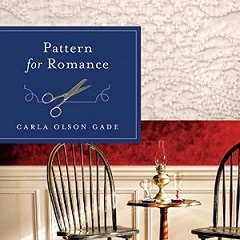 View the Pinterest Storyboard for Pattern for Romance.Listen to sample at Audible.com. Giveaway: One audio copy of Pattern for Romance and one large, deckled-edge paperback copy of The American Dream Romance Collection with her novella "Carving a Future." Defending Truth, western North Carolina (later east Tennessee), 1780 ~ Truth Bledsoe keeps her family fed while her father is away fighting the British. When she discovers a half-starved, fugitive Tory, she’s not above feeding him, but to go past simple Christian charity to forgiveness seems impossible. To love would be unthinkable. Micah Elliot has fled capture after the massacre at King’s Mountain, heartsick, battle weary, and ashamed of the cowardice that sent him westward over the mountains instead of eastward to home. Groping his way through a crisis of faith, he must discover and embrace what might finally be worth laying his life down for. Giveaway: One updated edition and one original edition of Pioneer Christmas (original is the large, deckled-edge paperback), featuring the RITA-nominated novella Defending Truth. 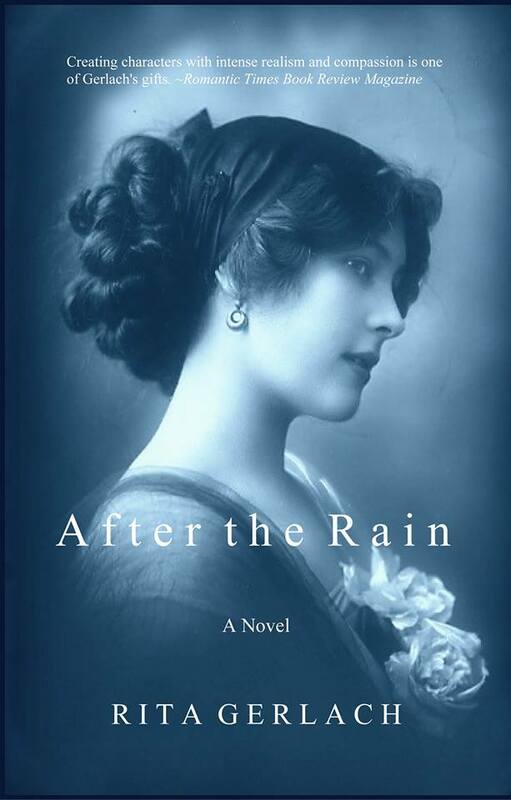 It's 1908, a year in the Edwardian Age, the year J.M. Barrie’s play 'What Every Woman Knows', premiered in Atlantic City and the first Model T rolled off the assembly line in Detroit. It is a year when the world faced one of its worst disasters in history, when the New Year would heal the wounds of loss. Louisa Borden lives a privileged life in Chevy Chase, Maryland, a new and thriving community on the outskirts of Washington, DC for the well-to-do. Against the wishes of her domineering grandmother, she retreats from the prospects of a loveless marriage and instead searches for what she hopes is her calling in life. When her horse is spooked along Rock Creek, she is thrown from the saddle—an embarrassing situation for any affluent young lady. Soaking wet, bruised and humiliated, she is carried up the muddy bank to safety by Jackson O’Neil, a stranger to the city, who changes the course of everything, including the lives of all those around her. Giveaway: One winner will receive choice of After the Rain ebook or an audio set for the Daughters of the Potomac series from Audible.com. Now out in AUDIO BOOK format! After a flood damages the looms at Zenus Dane’s Philadelphia textile mill and the bank demands loan payment, Zenus turns to his aunt for help repurposing his textiles. Trouble is . . . his aunt has already been hired by the lovely yet secretive Englishwoman Mary Varrs. Eager to acquire his aunt’s quilt patterns, Zenus attends the summer Quilting Bee, a social event his aunt has uniquely designed with the secret purpose of finding Zenus a wife. However Zenus only has eyes for Mary, but Mary has no such desire for him. Though his aunt is determined to design a masterpiece marriage, both Zenus and Mary will have to overcome their stubborn ways. Can he realize that love requires stepping out of his routine? And will she recognize that following her heart doesn’t mean sacrificing her ambition? 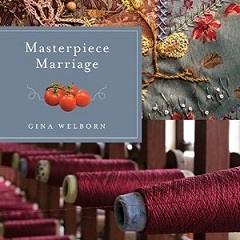 Giveaway: Gina is giving away one audio copy of Masterpiece Marraige to one of our readers! Please join our conversation by commenting on this post and check back for replies. Make sure you leave your email contact information so we can reach you if you should win one of the wonderful giveaways! Winners of the blog giveaways will be posted in the side bar with the town crier symbol! There are lots of freebies and giveaways on the Facebook event page, so please check out that page as well! Please tell us about your favorite season. Do you have an special activities that you enjoy during autumn? 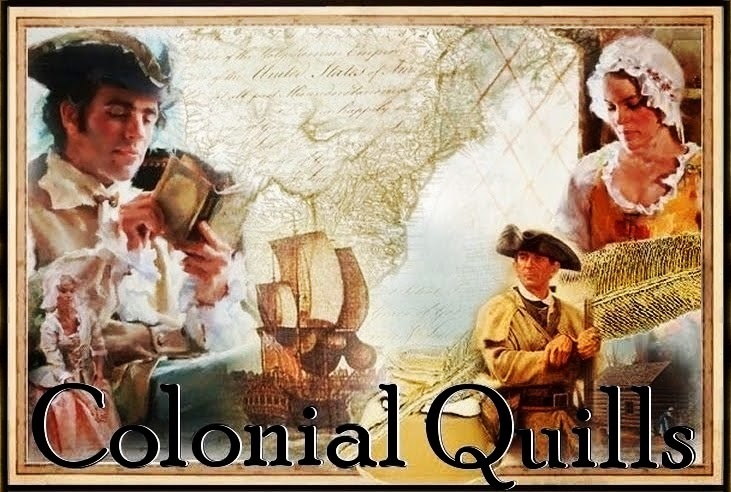 WELCOME to the Colonial Quills blog! We're getting some lovely updates from Carla Olson Gade but also keeping the main elements we love about the unique blog she originally designed for us! In the fall, one of my favorite things is ENJOYING the beautiful weather in Virginia. That's when it is in the 70s and most like my summers in the upper peninsula of Michigan! Also, fall is when I enjoy my Christmas stories coming out plus I start reading other authors' Christmas books, preferably novellas as they are short enough to get through in a few nights. I can't believe it is mid-October!!! Oh I miss Virginia falls. Speaking of... my novel Masterpiece Marriage takes place in Virginia, the eastern shore. Hello, dear ladies! It looks like I'm the first arrival. Well, that gives me plenty of time to look over these wonderful books. There's room on my bookshelf for all of them, so let me pull my shillings from my pocket before I take a hot cup of tea on this chilly morning. So nice to see all of you in such beautiful dresses. Good Morning Ladies! The parlor is decorated so beautifully. I am looking forward to chatting with you beside the fireplace. Thank you Carrie for the yummy tea! Hi, Caryl! The decor is lovely, isn't it? I can't stick around long, but it's a lovely morning for a cup of tea! Carla and I are celebrating the Audio Book releases of our novels. If you enjoy quilting and fiction, you should check out the Quilts of Love series at Audible.com. Thank you for inviting me to your tea party, it is my first. Your home is lovely and charming. Yes, I'd love a cup of tea to take the chill off, for I didn't wear my wrap this morning, and there is a chill in the air. I look forward to meeting the other ladies, and having a nice chat. Oh my, Miss Oygard, is this truly your fist time? come, let me show you around! We have a full array of sweets on our tea table. We also have many types of tea and beautiful teapots and tea cups to enjoy! Come sit down! Oh I dare say that I regretfully to forget to comment about the question asked by my hostess. I do love the fall season best of all, and it is a favorite time for me enjoy the season of colors, scents and sights. Gathering apples, choosing pumpkins for jack o lanterns, and setting up my pantry with canned apples for pies during the winter months. All of those activities are such fun! 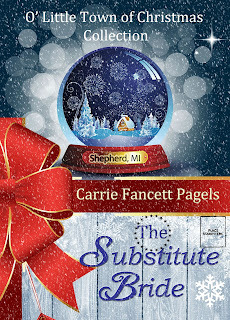 In The Substitute Bride, my heroine, Sonja Hoeke, has been preparing the children in the fall for their Christmas pageant, which is a HUGE deal at her church. She's about to find an even bigger event takes place there! It is the best time. Just went apple picking not too long ago and a pumpkin harvest orchard! Love the wonderful activities! Hay ride or corn maze anyone? Faith, how long have you been canning apples? And do you can other foods? Any tips for the wanna-be-canner? Canned Apples for pie sounds delicious. How many jars do you usually put up? Pint or quart? Have you ever made Apple Butter? I did one year and it was soooo yummy!!! Apples and Caramel, another due which is delightful. This year so far I have 5 quarts of apples. I've never made apple butter, I know it was delicious, and the aroma of that filling the heart is heavenly. We get our apples at a local orchard, they have many varieties, all come in at different times through the fall. I love the smell of the apples so fresh. Gina, I am still a wanna be canner. I've canned on/off. I have made salsa which is a labor of love but oh so good. Apples for pie, and onion jam. I'm still learning the craft, it is re warding, but lots of work as most things which are rewarding. Thrift stores carry the jars, start off on a small scale and little success will bring their own rewards. My mom was telling me how my Aunt Rubye and Aunt Lou canned 50 quarts of chicken noodle soup. I'd like to be a canner. My mom said she'd help me learn when I'm ready, which I figure won't be until 2017. Too much to do! Although apple butter ... yum. Now, those are serious canners, and how blessed you are to learn from them. It is a crisp day in Northeast Ohio, but thankfully, I am warm and cozy having my favorite tea with all of you! Autumn is by far my favorite season… I love the changing colors, cooler temperatures, and watching football with my husband! After reading all the descriptions, I'm not sure which book will be first on my list! I will also be popping in and out as I am able, as duty calls first! Welcome Mistress DiVencenzo! I live here in ye olde colonial Virginia where it is not so full of color but hail from upper Michigan, where the leaves are phenomenal. I miss that! Coffee or tea? Welcome, Teri! I say start at the top of the list and work your way down. Fall is my favorite season. I LOVE the cooler weather and the gorgeous colors. I would love to drive up into the Shenandoah area to see the colors change. We have a little bit locally but not so much by the coast! Morning Caryl! Me too! Love the Fall! In 2007, I had the pleasure of living in Colorado Springs, CO. The aspens are so beautiful. Not many Fall colors here in Texas. Morning Annie. Glad to see you here. Driving down the Blue Ridge Parkway during October was a must-do each year when we lived in Virginia. And going to an apple orchard. Not much fall colors here in southwest Oklahoma. It is a cool crisp day here in central By, so I thought Id come by for a spot of tea with you ladies! So many new faces, Cynthia irs grand to see you here today! Our leaves are changing quickly as the nights are dipping to the low 40s. I love all the new books I see and Carla, you know I just love yours and Carrie, love the new book as nd sweet cover! I think Ill sit a spell and enjoy tea and wait to see more of my sweet friends! Thanks so much, Linda, did you want to try the cherry-rhubarb tart or save room for brownies later (transported from the future!) Taking the teapot around now! Blessings! Good to see you, Linda! Miss Carrie, I brought some gluten-free brownies transported from the future as well, from a little shop called The Bakery Emporium. Best brownies ever! Good Morning ladies. The English Breakfast tea is warm and delightful, just what I needed after traveling here on this chilly morning, Carrie. The breakfast pastries are delicious, Cynthia, thank you. Ladies you all look so stunning in your new gowns today. My favorite season is Spring. After a cold and harsh Winter I always welcome Spring. The baby birds and animals, flowers blooming a warm breeze. I look at it as God's renewal and assurance that life goes on.I Love all the new books featured today. The covers are beautiful. I prefer reading books to audio books but I know they are very popular at the library here. Deanne, try the cherry-rhubarb tarts! Yummy! I love Spring, too, but love Autumn because both have temperatures around 70 here in Virginia, and I love that! I love audiobooks, too! Blessings! Hi Deanne! Spring is a great season too, fresh air, April showers, Spring flowers (my favorite) until my allergies hit. However, I try to look beyond that and enjoy the beauty of lush greens, bright colors and the sound of life from all the activity! Welcome, Deanne! I met a guy who works for the National Corvette Museum. He never was a reader but when his job promotion required he drive all over the US, he started listening to Sandra Brown's audio books. (She's a friend of his.) From there he branched out into westerns.He's in his 50s and finally can say he's an avid reader...at least if the book is read to him. My brother-in-law wasn't a reader either. But then he got a Kindle because it was easier to carry than books during the flights from Moscow to Texas and back. He's almost 50 and can finally say he is an avid reader ... of e-books. Alas, I fall asleep listening to an audio book and when reading on a Kindle, so if I'm gonna read a book, it'd better be in print. Good morning ladies :) What a lovely morning. The frost has decked the last of the pumpkins out in the patch and the beautiful colored leaves are almost gone. The air is crisp and smells fantastic. If you haven't picked it up, fall is my favorite time of year...lol. These books sound just wonderful. I do believe I must try to get my hands on all of them!! I have never had an audio book and certainly would love to start with one of these. It is so good of you ladies to plan these lovely teas every now and then. It is such a wonderful chance to catch up with sweet friends. I shall sit awhile and enjoy my tea and the conversation. Hey Betti! I love audiobooks! I listen while doing housework! So glad you could make it. I have homemade gluten-free brownies with mini marshmallows for later and some biscuits and hot tea right now! Welcome! Hi Betting and Carrie. I just borrowed two audio books from the library to "test" them out. I haven't used them on the commute yet, but have used them during households and prepping dinner. They are wonderful! This avid reader and book lover loves not to waste any time not reading ! Well, Anne, we are in west central MN about 1.5 hours south of Fargo, ND I am just in from taking the dog outside, so a nice warm cuppa sounds absolutely heavenly! Oh wow! I'd say it's a bit nippy where you are. :) Hope you've warmed up a bit by now! Welcome, Betti! Greetings from a fellow (well, transplanted...) northerner! I live 1.5 hours west of Fargo, and our leaves are nearly gone. We had our first hard freeze last night! Brrr!! Yes, Betti, read them all! Welcome and I hope you are enjoying the tea and the partying. Oh, Anne, I can imagine your view. One of our favorite family vacations was our week staying in a house on the Chesapeake Bay. Can't remember exactly where. Close to the mouth of the Bay. Oldest son and I got stuck in mire. Not a pleasant experience but it's a fun memory. And then he got stung by a jellyfish. I loved living in Virginia. Hello Anne! I grew up near the Texas Gulf Coast. The East Coast beaches are so much prettier! Sounds like you had a fabulous morning! These all look so great. As an AVID ;-) reader of Christian fiction, I would love to win any of these but the Pioneer Christmas one looks especially fun. Love Rita Gerlach's new cover! Oh my dear AVID reader, I know I'd LOVE for you to have a cup of tea, sit down over here, have an apple muffin and I want to show you this amazing device I brought back from the 21st century with me! It has my book, The Substitute Bride on it and is NOT made from paper!!! Pioneer Christmas is a fabulous collection. Wow! Amazing books and authors! So excited that this party started! Perfect timing with Fall colors. My favorite season and during the commute, seeing the color change on trees reminds me of out blessed we truly are. Are we suppose to leave our emails or just using our login's fine? Here's mine: justcommonly (at) gmail (dot) com. Thanks, yes, if we don't have your address we need it but we DO post winners up top on the sidebar! So check there tomorrow night! Blessings! 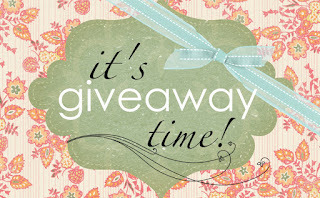 Remember ... we have blog giveaways as well as ones on the Facebook party coming up soon. Annie, I'm so glad you were able to attend this lovely tea hosted by these AMAZING authors. Enjoy your day! Ya'll are making me want to have hubs drive us up to Blue Ridge!!! Hugs! Oh, I love East Tennessee! Whereabouts? My story, Defending Truth, is set in that area! You should go for a drive, Carrie. We always would stop in Charlottesville on way home. There's a wonderful tavern there . . . can't think of name. It dates back to colonial days. I think they sell more knick knacks than anything else. And then stop in Goochland at the Drive-In, right off of 64. Good morning everyone. Stopping in before I have to leave later today for an appointment. It is chilly and sprinkling here in Virginia so be sure to grab your wrap. ACK I wanted to finish painting today my local lady friends and now I can't! But sonny boy is home from school with a flare up so I have hands busy anyways. O no! I thought everyone was saying how beautiful the day was in VA?! Hmm, time to pull out the throw or jacket. I love wrapping myself with a warm wool throw. I love the changing colors of Fall! Fall fishing is always fun.. Some wonderful books in the list today! I have a lot of those colors in my house. I miss the vibrant colors of the Upper Peninsula! Blessings! I will try to keep up with the conversations, but it may be hard at times. Popping in when I can.....while watching my little Chief. Congratulations to all the authors! Your books look great! Hey Gina! I am "mostly here".....having trouble adjusting to my grandson being here. I was used to being an empty nester. Our son, and sometimes our grandson, will be staying with us for awhile. (Chappy slaps her face gently to wake herself up) I think I will go outside for a bit. Hello Chappy! I'm so happy to see you. Enjoy having your boys while you can. The time is too fleeting. Hello Caryl! Yes, very fleeting.....I do enjoy my boys. Maybe too much at times. I do have to keep myself from picking Chief up, so that my back doesn't go out again. Chappy, choose "wholeheartedly" over "mostly"
Carrie Fancett Pagels, I was just reading the first part of Taking Tea in Colonial America and it has me wondering if those silver bowls that were a part of that tea set last Saturday might have been slop bowls (for tea dregs). Seeing as how no one knew what they were! What do you think? That was what I had suggested and I think the proprietor just didn't know, Anne. Sounds like a really good book and set in my 2 favorite historical periods. 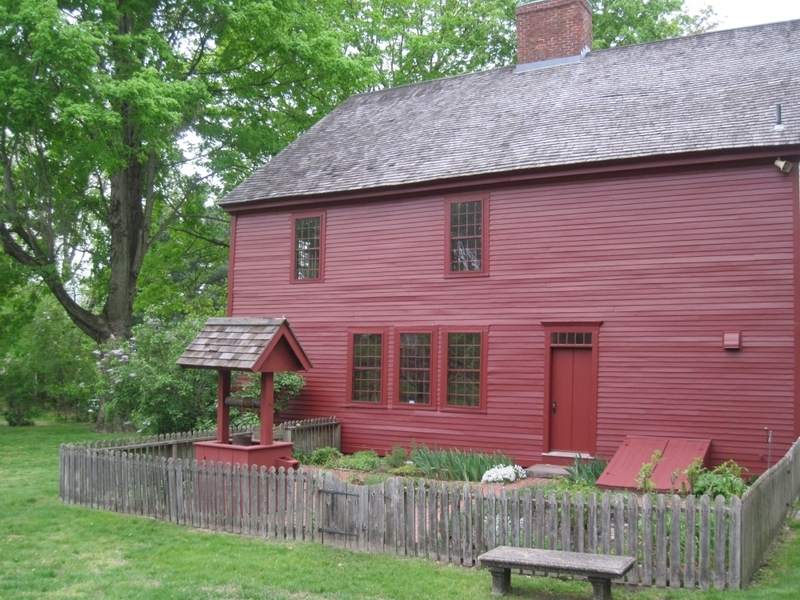 We have several time periods covered, Elizabeth, all the way from colonial times up to 1890s when my story is set! Which specific eras would that be, Elizabeth? And thank you for stopping by! Welcome, Elizabeth! We also have giveaways on our FB party coming up soon. It is a cool, crisp morning here in northern MN. in the 50s the past few days in morning, which is chilly for VA! Are the leaves all changed? Good morning everyone. It's a beautiful day in Maryland as well. Autumn is my favorite season. I be back but first I have to fill my coffee cup. So great to see you here Rita! congrats on your wonderful new release! Boy do I need that coffee. I'm ashamed of the typo! Someone please pass the espresso, cream, and honey. This is my favorite season, but only when it acts like fall....cool and nice. So far, here in California....not so much. That was one thing that bothered me when I lived in CA, Debbie! Missed the seasonal changes from MI. We have them here in VA but not the extremes like MI and not so flat as CA. Blessings! I've never lived outside of Northern California....not sure if I ever will. I wouldn't mind having actual changing seasons. This drought is so depressing. I think I need more coffee and perhaps a tart. Yep....cool, warm, warmer and hot flash! But, seriously, we do get a month or two of chilly weather....we even get one day of snow on rare occasions. How beautiful. Flocks of Canadian geese are flying in formation over my house and honking. Good morning, Rita! May I say that I truly love the cover of your newest book! It is so easy on the eyes, especially this morning.......loving my coffee right now. neato! I've seen just a few here in VA. I hear it is still pretty warm up north, Rita! Love your new release! I used to see and hear geese all the time when I lived in Willows, California. My High School's sports logo was the Willows Honkers. It was cool seeing them flying in formation.....but the honking got old fast. Good Morning, ladies! The books are looking lovely this month. So many good choices. I really enjoy seeing the ebook offerings as well. I enjoy a good listen on crisp fall mornings when I walk. Gorgeous weather today! Happy Fall! Good morning, Mary! Thank you so much for taking the time to come by. It is indeed a beautiful day! Good morning Mary. Sounds like my kind of day! A nice, crisp day here in the upper Plains! Lovely day for coffee and tea ... in between canning beets and other garden produce. So glad for the bounty the Lord provides! Are they baby beets? I love those! We love beets! Do you sweeten them, like Harvard Beets? Some baby beets, but mostly REALLY big ones! LOL ... I can some plain, and then pickle others, using a syrup of equal parts vinegar and sugar. The kids aren't huge fans of either, but my husband and I love them! I havn't any sweets prepared, but soon bread will be out of the hearth, warming and comforting, I'm a neighborly sort of gal, and so I'll bring some fresh warm bread to go with our tea and coffee. Anybody have any fresh honey for honeybutter? What a great duo. Just bought some local honey from the orchard. How do you make some honeybutter? We have some from Shirley plantation in Charles City VA!!! I'll bring the honey butter. It's delightful on yeast rolls too! Not sure if I've ever tried it before. That would be wonderful, it does go with bread and rolls, bisquits and cornbread, I'm making myself hungry, I'm brining an appetite to the Tea Party, and won't be able to squeeze into my lovely dress. Do try some honeybutter, I think you will become a fan. Fresh baking bread smells heavenly! That is the simple pleasure added bonus of the process. I must get to the tea party, the bread is done, and it will be warm. I'll wrap it in a gingham cloth and place it next to the bakery, enjoy and don't forget the honeybutter. Fresh bread & honey, any neighbors have the fresh butter? Let's mix up a batch shall we? Mine too, it would be nice to shade them beneath the large billowy dress wouldn't it? I've said it before, I'm in the wrong time zone. I've attempted to make homemade bread a few times. It always comes out tasting "heavy". Any suggestions? It could be the flour. I've experimented around with a few. I like Robin Hood Flour, and King Arthur. I have a recipe posted at my blog, hop over some time and click on the recipe box, give it a try and see what you think. Weather conditions can sometimes influence the finished product as well. Bread unlike pie like lots of kneading. Thanks. I will give it a try once the weather cools down. What did people do in those days if they couldn't tolerate dairy or wheat? I have a limited diet. King Arthur is definitely the best for bread. And if you handle the dough too much it will be heavy. Less handling = lighter bread. Mary, According to my daughter who is into all things raw and natural, back in the day there probably weren't as many food allergies since the crops were not genetically altered and there were no antibiotics or hormones given to animals. kneading is important. Have you ever noted how the conditions of the weather affects the process also. Dampness, humidity to cold or hot all factor in to bread dough, too much handling or not enough as well. As in all things strike a happy balance. After a while you will be able to assess your dough and it's requirements. Thanks for the advice, ladies! Caryl Kane said it best....bread machines are wonderful inventions! don't forget your aprons, so we don't muss up our lovely dresses. Where did the 'spark' for each of your stories come from? Any cool ways y'all got your ideas? For Defending Truth, it was a critique suggestion on another story. While I didn't change that particular story, I tucked the idea away in my head, and it became the seed which grew into this one--a young patriot woman who chooses to show mercy to a fugitive Tory. What kind of research have you done in preparation for these period settings? The design cover of the Pioneer Christmas is lovely. It is gently drawing me in to read the book I appreciate the fact that you put so much research into the books you write. 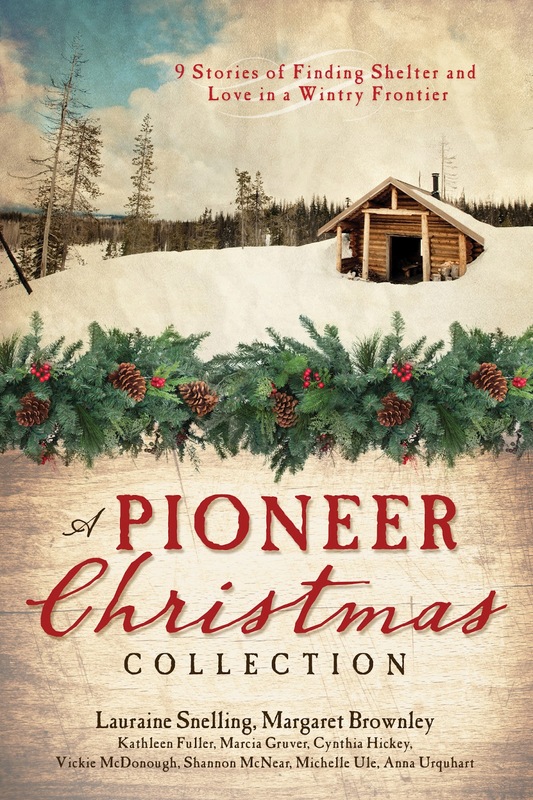 I look forward to reading Pioneer Christmas. That is a most interesting and pivotal point in our history. I love both spring and autumn. The spring is so hopeful after WI's loooooooong winter. And the flowers are beautiful! But then, fall's leaves are stunning, and I love the smell of the season. Plus, the baked goodies are so comforting! I commented early this morning (8:00 EDT) and I don't see it. So I will comment again. The books all look wonderful. My favorite seasons are Fall and Spring. Hi, I didn't know you started so early. I'm PDT. I just love fall. I would love to read any of the books listed. I just love these parties. The lovely ladies of Colonial Quills always do such a great job! Congratulations again to these wonderful authors! Fall colors are lovely, but spring is my favorite with all the pretty flowers--but not the allergies! I think Spring allergies is why I love Autumn better, but Spring does come in second. I can't go a day in the springtime without sneezing hundreds of times though. I love these parties! I have been gone all morning and just got home. I will join in the party on faceboook after I catch a quick nap. It is a beautiful day here in the Mountains of North Carolina. I absolutely loooove fall!! I love the changing colors of the leaves and the holidays! I like curling up with a good book and a big mug of hot chocolate! So many great books here! Thanks for the giveaway!! Hello, ladies! It's such a great day for a party! Everyone looks fabulous!! I'm going to warm up by the fire. Congratulations to the authors on their releases. The only one I haven't read is Carla's book. I'm reading Rita's now. Stopping by to say hello! Beautiful day for a tea party! On my way home to Oklahoma from Texas. My husband and I have a new grandson. What a blessing! Congratulations! We are expecting our first grand child in January. Congrats Karen! Safe travels home. It was hard to leave him and his two older sisters but hopefully will see than next month. Thanks, Lisa, for stopping in! 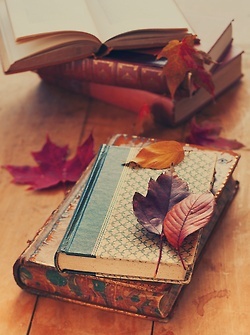 I enjoy all the seasons, they all hold something special, but I do enjoy fall very much! I enjoy drinking tea to warm up! LOL! vHi everyone. I love fall because I can finally start using my oven again. Breaking for lunch....Gina made me hungry over on the Facebook page. I couldn't help myself, Chappy. I was hungry and I saved a lot of calories by imaginary eating. These virtual parties are great for trying new recipes w/o consequences! Well, my lunch was okay, but no pumpkin cheesecake....ugh! I do a lot of imaginary eating too. Imaginary eating...YES! I'm ready for another cuppa...something with a little kick for the home stretch of my work day! Anyone else need a quick boost? I had a friend ask me this morning what I am going to do with my book that I finished the first draft my first ever novel. When I said I need to read it again and edit and even delete parts of it, she was shocked that I would cut part of it. It is amazing how little people other than writers understand what all is involved with writing. I am thrilled that I could finally type in "The End" but I know the work has just begun and it is no where near being ready for publication. I appreciate all authors who make it to publication and applaud all the hard work you have put in so that people can read your great books. Congratulations on finishing your book....praying that the edits go smoothly. It is a gift you all have. Congratulations Wilani! May the road to publication be smooth! Here in California, it's not until late Fall until the fire seasons end....unless we have an Indian summer, then who knows. I'm curious. How many people have a silver tea service that they use? I'm not sure I would like it since it would need polishing. Hello Jan....I don't own anything silver. I don't like the smell involved in polishing it. Strange? I usually drink my tea from a mug. An Apple pie with ice cream sure sounds good about now.